A number of things can make horses stressed, like being alone, loading and riding in a trailer, veterinary care, farrier work, preparing for and going to shows, changes in weather, changes in the people caring for them, changes in routine such as a new stall or differing feeding schedule, stall rest due to injury or illness, and a stressed handler or rider. Horses express psychological stress in a number of ways. 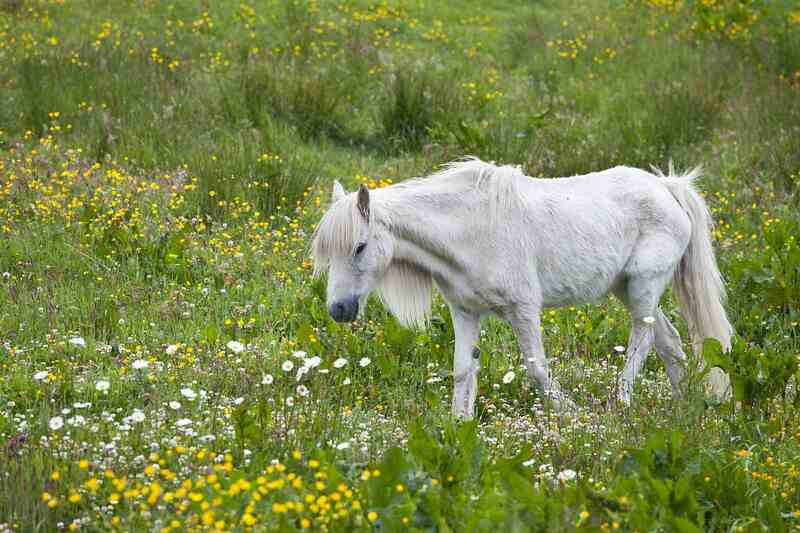 Horses that are chronically psychologically stressed can start to lose weight. Since there are many reasons, such as heat stress, parasites, poor feed and health problems, it's necessary to look at all aspects of the horse's care to troubleshoot weight loss. Stall walking is when a horse walks around a stall or walks back and forth along one wall repetitively. Weaving, cribbing, wood chewing, wall kicking and fence walking are all signs of stress. Most of us yawn when we are tired. It's the way our bodies inhale a little extra oxygen to fuel our sleepy brain. Horses, however, don't yawn for the same reason, nor is it an appeasement gesture, as in dogs. 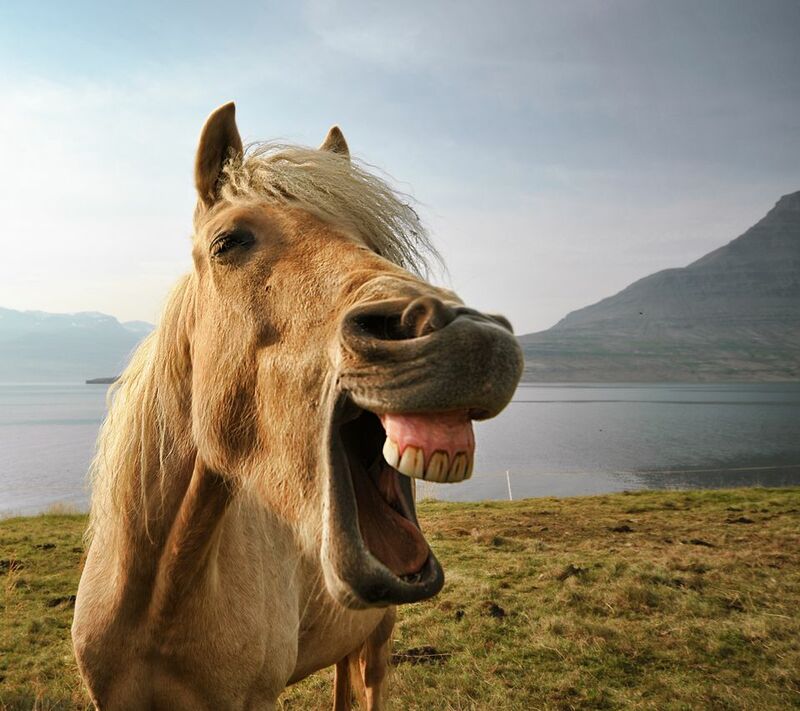 A University of Guelph study found that yawning may be a way for a horse to release endorphins. Yawning and most horses will do it several times in a row, is a sign that the horse was feeling stressed, and by yawning, is releasing the stress. Some horses grind their teeth while stabled, some while ridden. Tooth grinding can be a sign of physical or physiological stress. If the horse has no other dental issues, it's important to check for things like EGUS and other sources of chronic pain or stressful situations. Many examples of poor behavior while ridden can be caused by physiological or physical stress. Stress can be expressed through pawing, pulling, tail wringing, bucking, rearing, bolting, or being cold backed. Many performance horses suffer from equine ulcers. This can be in response to a stressful show schedule or other stresses. A horse that is stressed can produce copious amounts of manure in a short time. Some may produce very runny manure. Horses will often urinate if stressed, and if they can't relieve themselves because they can't relax, such as in a trailer or when being ridden, they can become antsier. Natural horsemanship information has suggested that licking and chewing is a sign that a horse is accepting new information, such as during training. This action may be more like yawning in its function, as a way to release any stress it may have felt. Colic symptoms can be caused by stress. A new herd mate or changes in routine, whether or handler can be enough to make some horses mildly colicky. Chronic stress can lead to EGUS, which of course, can cause colic symptoms. Any number of stressful situations can cause a horse to tremble. Just the appearance of the veterinarian, farrier or the arrival of a trailer ​in the yard can cause some horses to start shaking. Usually, as soon as the cause of the stress disappears, the trembling stops. When a horse becomes stressed, their pulse and respiration rates can increase, sometimes drastically. It's important because of this to know your horse’s basic TPRs. As a horse's pulse and respiration may increase when stressed, it may start to sweat (and tremble). Work stress tends to show up between the horse's legs, and under the saddle area and can eventually cover the horse's whole body. It depends on how hard and long the horse works. A stressed horse may sweat in patches, however. Patches of sweat can also show the location of old injuries. A worried horse often bolts its food. Bolting can lead to choke. This can happen in a stall or trailer. Some horses express stress by biting things, people or other horses. Much stress can be relieved by providing consistent schedules in natural environments, or as much so as possible. This means frequent turnout, with ample access to food, water, and companionship. Show stress is more difficult to remedy, but turn out and exercise between shows can be helpful. Give horses time to acclimatize to new situations, such as new herd mates or stall locations. Do your best to give horses in trailers a smooth ride. It's almost impossible to prevent all stress, but good basic care should take care of most. Is It Always a Good Thing When Your Horse Rolls? What Should a Weanling Horse Be Trained?